Hi there! Back again with another Father’s Day card which I made for my children to give to their Dad. 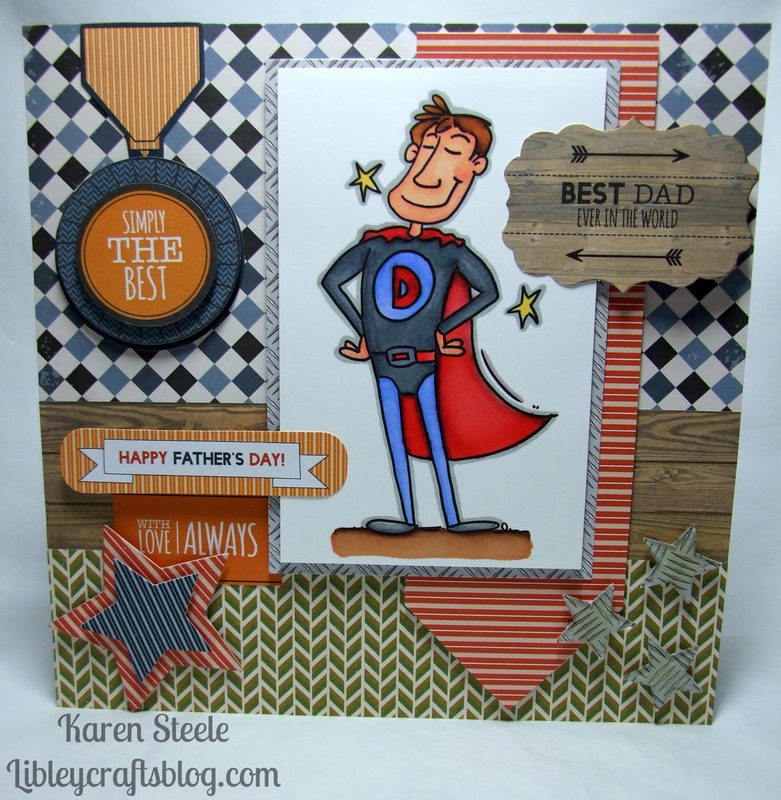 This is a digi from Bugaboo Stamps and is called Super Dad! 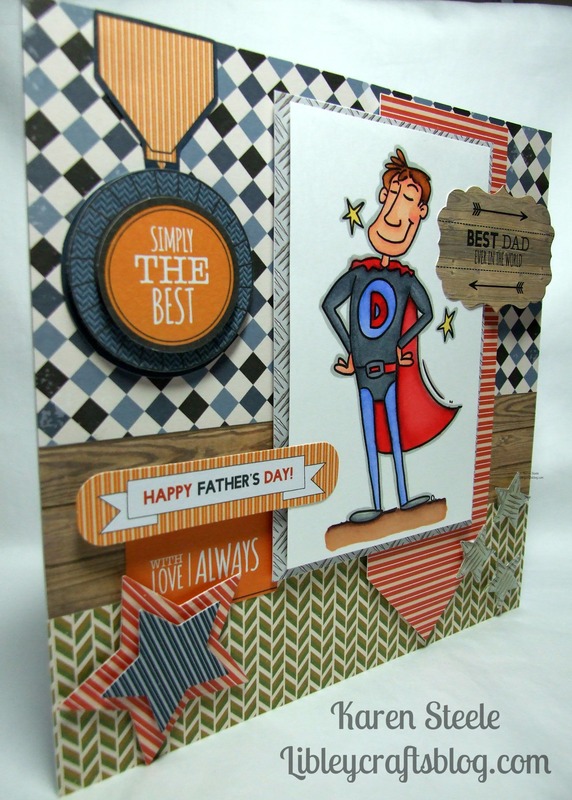 All the papers, sentiments and most of the die-cuts are from the Mr Mister range by Docrafts. I just used my epiphany tool for the small grey stars on the right and Spellbinders Star Dies for the larger ones’s on the left. I know that the ‘D’ on the front of his outfit stands for ‘Dad’ but as my husband’s name is David I thought it was even more appropriate! I used Spectrum Noirs to colour him up! This is super fun!! I love all of the elements and papers – you really outdid yourself for Father’s Day this year! I think you should do tutorials on how you go about deciding your layouts and choosing elements. I would never be able to produce something as fab, with interest all over the page, like this without professional guidance! Great card again! SQUEAAAAL!!! This is so ADORABLE, Karen!!!!! Love the colors, all your amazing details, everything!!!! Absolutely fantastic!!!!! Awesome card!! Wonderful image and elements!! Fabulous masculine card, Karen. I like all the little extras on it ! Super cute! Love the fun super hero design!